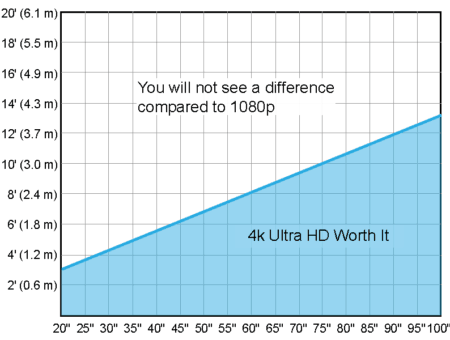 4K vs 1080p – Is UHD Worth The Upgrade? For TVs, going to 4K from 1080p is worth it only if you’ll be watching native 4K content while sitting at a close enough distance (depending on the TV size) that allows you to notice the extra pixels i.e. details. As far as PC monitors are concerned, it depends on whether you’ll be using the monitor for content creation, gaming, or just ordinary everyday use. You will also need a decent PC build. 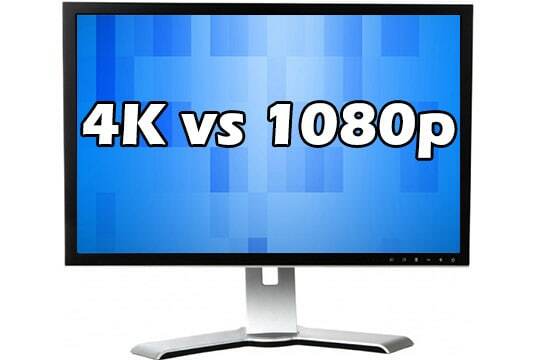 4K resolution has four times the pixel count than 1080p but is that alone enough for you to switch to a 4K display? While 4K does provide you with a much more detailed and immersive image quality, you will need 4K content in order to see the difference. Since there’s more and more 4K content available and the prices of 4K displays are dropping, now is indeed a good time to be getting a 4K TV. First of all, while the jump from 1080p to 4K is definitely noticeable, it won’t be as apparent as it was going from SD (480p) to HD (720p). Moreover, in order to actually spot the difference between 4K and 1080p, you will need to watch the screen from a certain distance. At a certain point, if you are sitting too far from the screen, all the extra details of 4K become faint; this is why a TV’s size is also important. 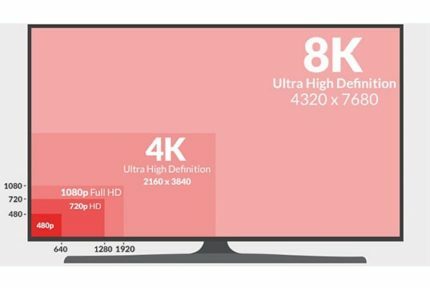 Basically, this means that a 55-inch 4K TV, for example, shouldn’t be watched from more than 6.5′ or 2m away, because you wouldn’t be able to see the improvement over a lower resolution display. Luckily, 4K TVs are available in various sizes ranging from 40″ to over 100″, so you should be able to easily find the perfect TV for your preferred watching distance. One of the main downsides of buying a 4K TV was the lack of compatible content. What’s the point of having a 4K TV if you’ll just be watching 1080p or 720p content on it? 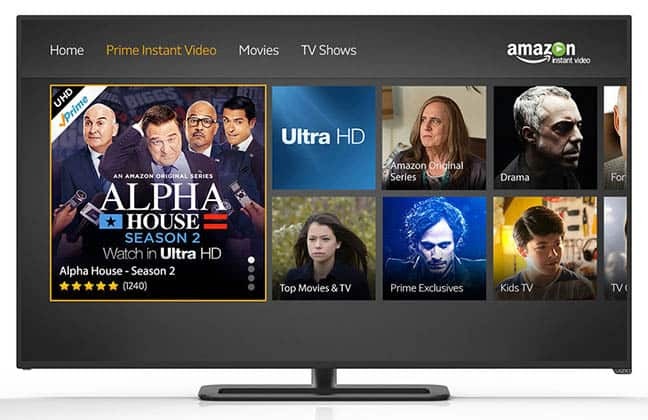 Nowadays, however, there’s plenty of 4K content available; you can even play console games at 4K on your Xbox One X or PlayStation 4 Pro and watch your favorite TV shows in 4K via online streaming services such as Amazon Prime Video and Netflix. And as time goes by, there’ll be more and more 4K content. When watching regular 1080p content on your 4K TV, the TV uses a process called upscaling to ‘fill in’ the missing pixels. While upscaling does slightly smooth out the picture, the difference between 1080p content displayed on a native 1080p TV and a 4K TV is not prominent. The quality of upscaling will also depend on the TV’s quality itself. More expensive TVs from Samsung, LG, and Sony upscale better than cheaper 4K TVs. So, when buying a 4K TV, pay attention to how its upscaling performance is rated if you plan on watching a lot of 1080p content on your 4K TV. In contrast, downscaling takes a higher resolution such as 4K and downscales it to the native resolution of your TV, 1080p for instance. Depending on the quality, or bit rate, of the content, the downscaled 1080p can look slightly better than regular 1080p content. Most of the new TVs being made today are in fact 4K. It’s very difficult to find a new 1080p TV. That’s mainly because 4K is simply better and it’s on its way to becoming a new standard. Furthermore, 4K allows for other premium features such as HDR and OLED which further improves the picture quality. Are 4K Monitors Worth It? When it comes to 4K for monitors, there are additional things to take into account including what you will be using the monitor for – gaming, content creation, or everyday use? We have a dedicated article about whether a 4K monitor is worth it, but we’ll cover the basics here as well. 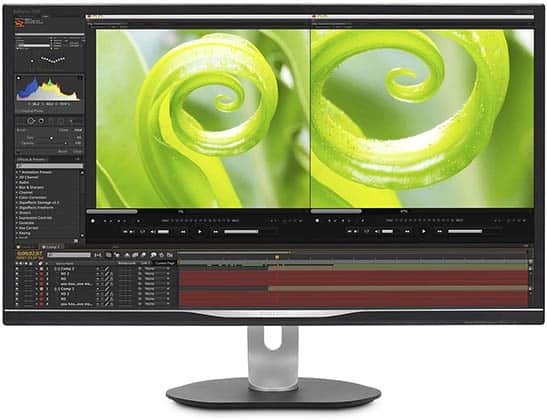 If you want to create content in the highest quality available, you will definitely need a 4K monitor as well as the powerful computer equipment required to edit and render 4K content. Whether that’s worth it is entirely up to you and your budget. Since most people are still using 1080p displays, only a select number of your viewer base will be able to actually enjoy your content in all its glory. So, while a 4K monitor will certainly make your content more appealing to some, you should feel no need to rush and get one just yet. In case you just want a 4K monitor for casual everyday use such as web surfing and watching movies, you are in luck. Just like 4K TVs, 4K monitors are becoming less and less expensive, meaning that you could get a high-quality 4K monitor for a very good price. Keep in mind, though, that when it comes to gaming at 4K, you will need quite a powerful PC build with a beefy GPU to properly enjoy it. If you plan on buying a 4K gaming monitor, you probably also intend on using high picture settings and playing at a reasonably high frame rate, because what’s the point otherwise? Even the most powerful high-end graphics card will struggle to maintain steady 60 FPS (Frames Per Second) at high settings in the latest, demanding titles. This is why most gamers opt for lower resolution monitors. A 1440p monitor offers a vivid image quality that’s not as power-hungry as 4K. What’s more, some 1440p and 1080p gaming monitors offer a higher refresh rate that makes gaming a lot more enjoyable. Additionally, there are ultra-wide monitors which, thanks to their wider and usually curved screen, offer a more engaging gaming experience. These monitors can have both a high resolution and a high refresh rate, making them a great in-between choice. 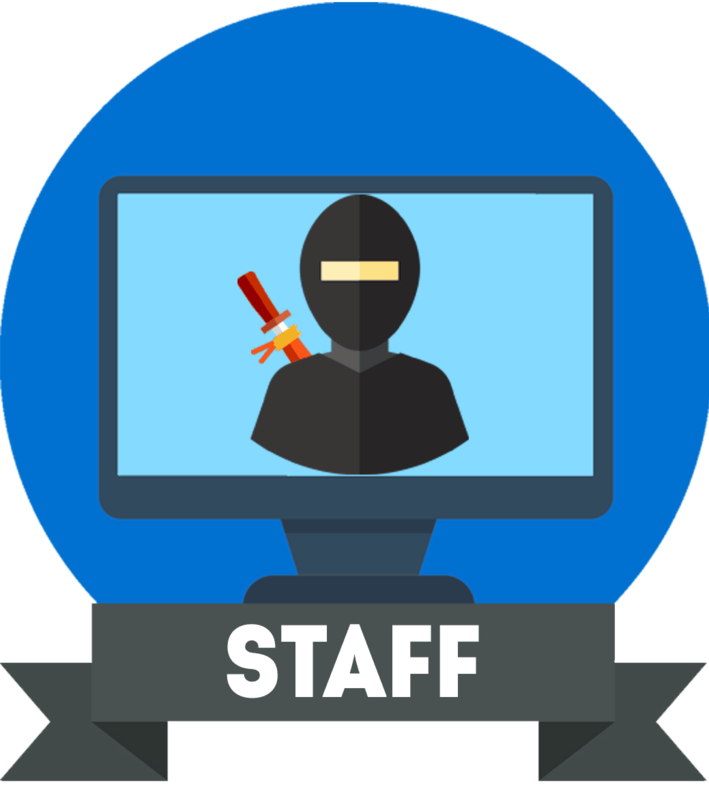 Another important factor, besides the screen resolution and refresh rate, when buying monitor is the panel type (IPS, TN, VA) which you can learn more about here. In comparison to 1080p, 4K makes everything look crystal-clear and crisp, there’s no doubt about it. However, there are many things to consider before simply jumping on board. For TVs, you just have to ensure that you’ll have something to watch in native 4K resolution and that the size of your TV aligns with the distance you’d like to watch it from. For monitors, it’s mainly content creators who will find 4K worthwhile as gamers and casual users have better alternatives such as ultra-wide and lower-resolution high refresh rate monitors. 720p vs 1080p vs 1440p vs 4K vs 8K - Which Should I Choose? 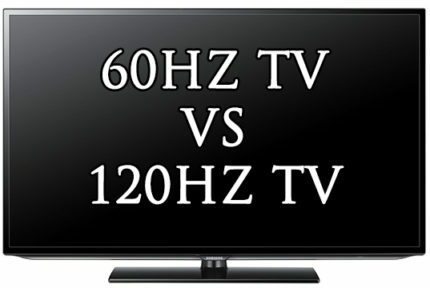 60Hz vs 120Hz For TVs - Is It Worth The Upgrade?